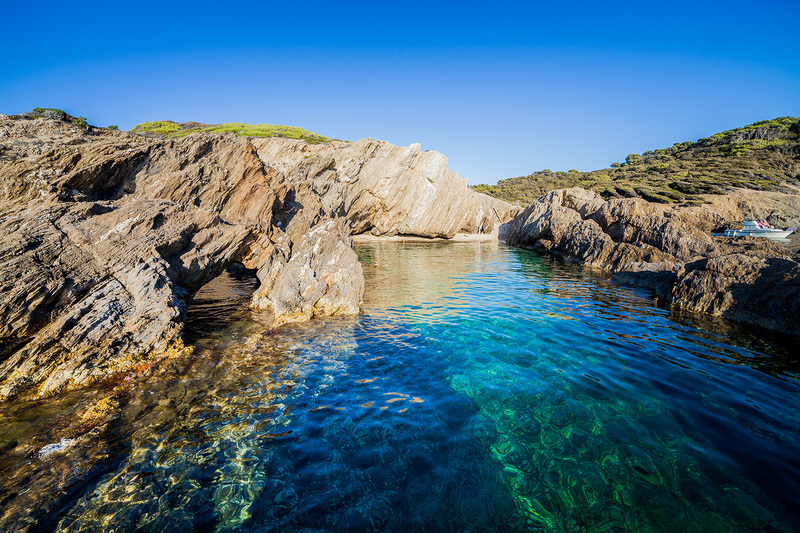 Located at the extreme south of Provence and stretching between the sky and the sea, Hyères covers a large and varied territory: on land but also on and under the sea. Throughout your walks both along the protected coast and inland, you will encounter a remarkable variety of vegetal and animal species. The rich flora and fauna native to Hyères has been attracting botanists and ornithologists from around the world ever since the 19th century. Some books are available at the Tourist Office to help you identify unknown plants and flowers or you can ask a naturalist guideto take you on a discovery hike. For millennia, human activity and the influence of the weather have shaped local vegetation. Natural advocates such as the richness and salinity of the soils as well as the direction of the wind have conditioned the different uses of the land. Hyères is famous for its production of palm trees, oranges and eucalyptus but it also grows world-renown Provencal canes that are used to make musical instruments’ reeds, baskets and stakes for plants. With the reed, it is important to keep the earth humid, just like with summer snowflakes, acanthus, reeds and pink laurel. By the sea, one will find tamarisk and salicornia as both species are fond of salt. The rarer – and protected – species of the sea daffodil, beach morning glory and buck’s horn plantain all grow on coastal sand. As for the coastal cliffs, they grow arbutus trees, lavatera and Anthyllis barba-jovis. The Pesquiers, la Capte and la Bergerie beaches benefit all year-round from the generous shade of stone pineand Aleppo pine woods. Around the town, the hills of Les Borrels, le Fenouilet, le mont des Oiseaux and Costebelle are as many havens of nature and home to forests of evergreen oaks (Quercus ilex), cork oaks(Quercus suber), Aleppo pines as well as species native to the Mediterranean shrub land such as rosemary, myrtle, mastic and wild olive trees. This extraordinarily rich flora provides a habitat to an equally diverse fauna. Cicadas, wild boars, Hermann turtles, Mediterranean tree frogs are some of the species inhabiting the woods around Hyères. Similarly, bird watchers will be on the lookout for nestling species such as blackcaps, nightjars, sparrowhawks and Eurasian scoops owls. Many bird species including common kestels, peregrine falcons and yellow-legged gulls (called “gabian”) go to seek shelter in the cornices of the cliffs overlooking the sea. As for the salt marshes linking the continent to the peninsula, it is the winter home of over 260 bird species, among them the pink flamingo. At the core of the Port-Cros National Park, the Bagaud Island constitutes a protected reserve for the native species of the yelkouan shearwater, a fishing bird able to dive to up to 40 metres deep. 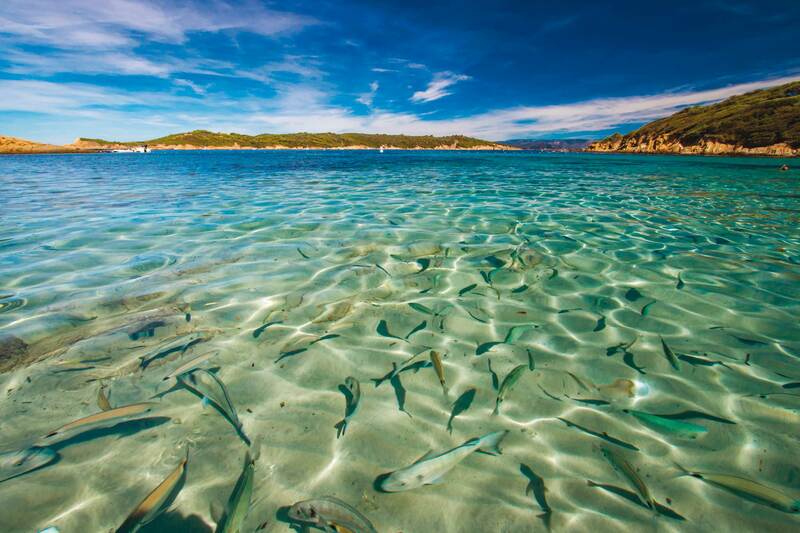 The seas of Hyères also constitute a rich habitat for the characteristic Port-Cros grouper and, of course, for schools of dolphins.